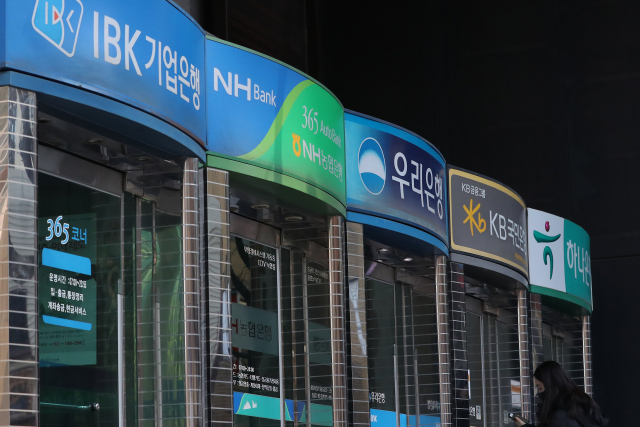 The Financial Supervisory Service and the Bank of Korea are working together to examine the related business practices of the four banks: Shinhan Bank, KB Kookmin Bank, Woori Bank and KEB Hana Bank. Shinhan was the first bank to undergo the audit Monday, which was initiated by the FSS at the request of the BOK. In scrutinizing the banks’ practices, the BOK will focus on compliance with interest regulations and central monetary policies, while the FSS plans to zero in on practices linked to loan guarantees. The FSS will also focus on whether the banks did not demand excessive collateral in the process of providing loans to small business owners. The regulator will also gauge how the relevant loan delinquency rate is impacting the bank’s financial soundness. The special audit comes amid concerns over the fast-paced increase in the total amount of loans provided to small business owners here and an overall hike in the loan delinquency rate. According to the FSS, the loan delinquency rate of Korea’s small business owners was 0.61 percent as of end-2018, up 0.10 percentage points from the previous year. The amount of loans offered to small businesses are on the rise as well. Last year, financial cooperatives saw the biggest on-year growth of 31.9 percent. Savings banks recorded a 31.5 percent on-year growth, while commercial banks saw am 8.6 percent increase on-year. In addition to the latest joint audit, the FSS has begun its “comprehensive audit” on Korea’s major financial companies held regularly to ensure their regulatory compliance. KB Financial Group and KB Kookmin Bank have been picked as the first audit subjects for the banking sector. From the insurance sector, Hanwha Life Insurance has been selected as the first candidate for the regular audit.